Blog Bat-A-Round: Cards you once had, no longer do, and regret it. I have been reading on other blogs, something called a "Bat-A-Round" where multiple bloggers post their thoughts on a particular subject. (You can tell how much of the sports card blogging world is baseball oriented). As I spend much of my life thinking about cards, I rarely find a topic I don't have a thought on, so I thought I would post my take on it. This Bat-A-Round's topic is cards you once had but no longer do. For me, this is a small subject but a bit of a painful one. I am very tight-fisted with my cards. If a card goes into my collection...it stays there. Forever. I will not budge, no matter what. (I even had somebody block me on Facebook because I would not sell a card to him). 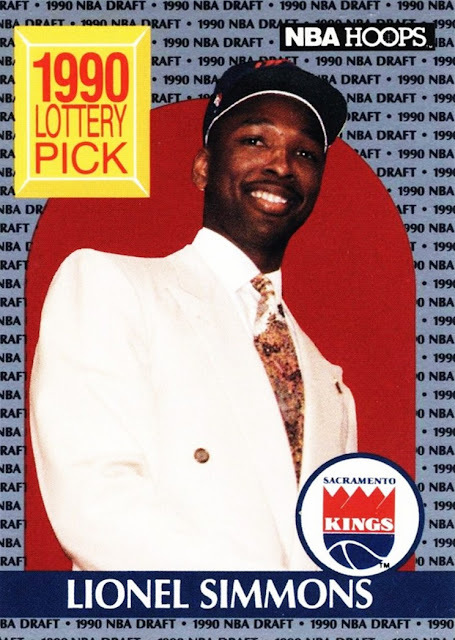 But back in 1996, when I first started collecting the NBA, I traded away one card...just one...and it's haunted me ever since. The crazy thing is I don't even remember exactly which card it was anymore. I know it was 1995-96 Upper Deck, the Electric Court Parallel. I know it was David Robinson. But at this late date I don't remember if it was the base card, or one of the Subsets. I think it was the base player card. I have the USA subset in it's Electric Court version, but until I get the rest...it will drive me nuts. (The two I don't have, that might be it, are in the Top 10 most wanted list on the right side of every post). I am still friends with the person I traded it to, all those years ago, but he had a house fire a year or two after we traded...so the opportunity is not there to try and get it back. The crazy thing is that I could probably get both of the cards for under $5 combined. I have so far refused to do so, hoping against hope that I would get them "naturally"- without having to pay for them/it. So far, no luck. That is the ONLY card I ever had that I no longer do. There is more to this story though. Remember back in February, I had a flood, lost several hundred cards. You can see which ones I lost and some pictures Here. I have already replaced some of them. Less than half, but some. The 2003-04 Topps Factory Set and the two Star Wars promos are going to be hard to replace. While I technically still have them, they are essentially lost to me. Some of them, like the 1991-92 Upper Deck Muggsy Bogues, are permanently fused to the next card they were touching. This is the painful aspect. My cards are my life, and this hurt...still hurts. I have found a few more that were in the box that I thought escaped damage but didn't, that aren't on that list. I have an Excel file of cards damaged that need to be replaced. 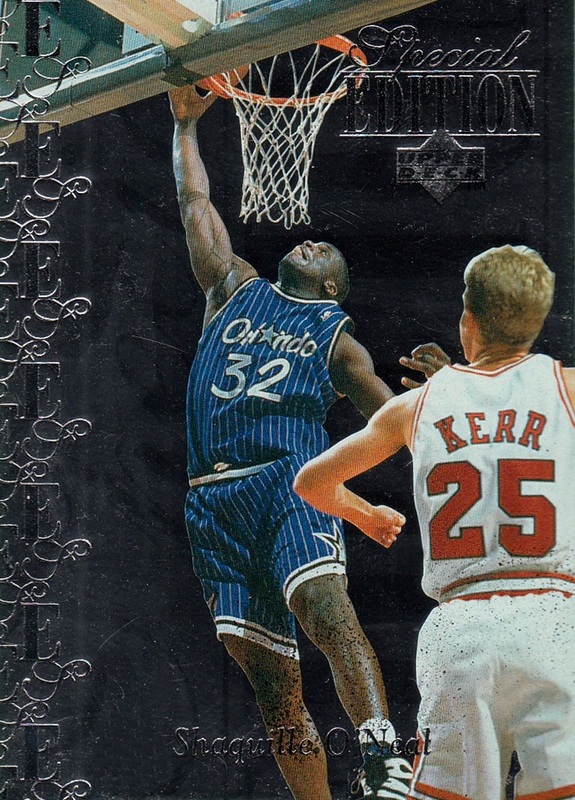 1995-96 Upper Deck Special Edition #SE147 Shaquille O'Neal. I made a big trade for one of these, and it was stolen...I am 99.9% sure by my school teacher, at that. Luckily, at a card show several years later I was able to find a replacement. They scan like crap, by the way, as all mirror foils do. There were other cards I've had stolen but I'm sure I've gotten replacements for them now. I don't really remember what they were. This one was the big deal, and the only one I clearly remembered from the group stolen. Ironically the replacement is probably in much better shape than the one that was stolen, but I only got to see it for maybe 5 minutes before it was stolen, so I can't be sure. As someone who keeps all his cards, this is a topic that hopefully won't ever grow. Especially as I've learned not to keep my waiting-to-be-scanned box directly under my window. I realize in previewing this post that this will only be my fourth blog entry of June...on June 30th. I really need to post more often. It is a little disheartening when you spend a lot of time, care and effort on a post, and get zero response. I do this pretty much totally for my own piece of mind, and I've not been in a very good place lately...I guess it shows with my lack of posts. I did just get a card I've been chasing for nearly 20 years in the mail today (it's still Monday for me) and a 1/1 in the mail as well so I may post another post tomorrow (the 30th) afternoon...depends on if I get them scanned or not. Later today is the NBA Draft...always an exciting time in the NBA, and truly the kickoff of the new season. (Hard to believe we are coming up on 2015-16...I began collecting the NBA during 1995-96 and I will be doing some celebratory stuff, but I digress). Not only will this be the 20th Draft I've watched, it's selections will also put my NBA collection at 2500 different people, most likely. It is possible that I will hit that mark before the first 2015-16 cards arrive somewhere in the September-November area. 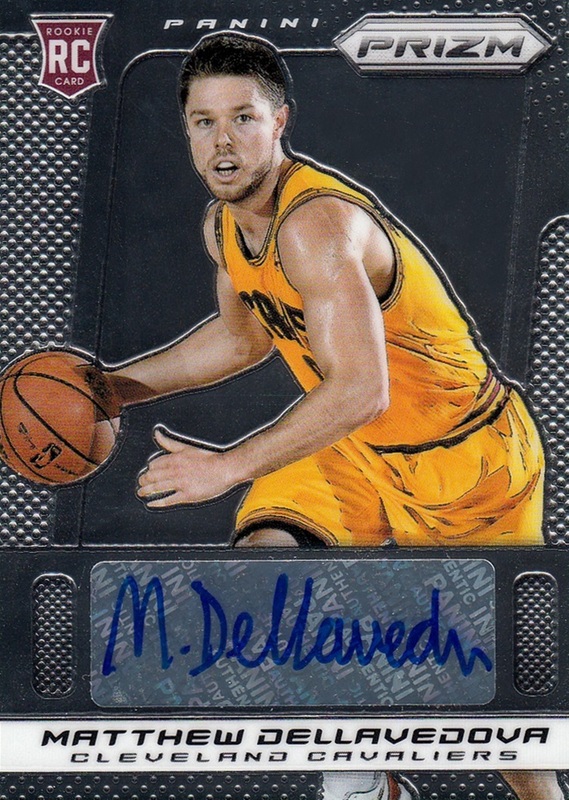 I currently stand, with the addition of the Matthew Dellavedova card my mom gave me two days ago, at 2497 different people. So, it is possible that by time the new season's cards get here, the important 2500 marker will be in the rear view mirror already. Everyone suspects Karl-Anthony Towns will go 1st to the T-Wolves, and I am thinking that as well. After that, though...it's wide open. The Lakers, 76ers, Knicks and Magic make the rest of the top 5 picks, and all of them have many needs to fill...you don't get to the top of the draft by being a good team. Jahlil Okafor, D'Angelo Russell, Kristaps Porzingus are likely to all go in the top 5, but the order is still anyone's guess. Except maybe the Lakers, but I'm not privy to that info! 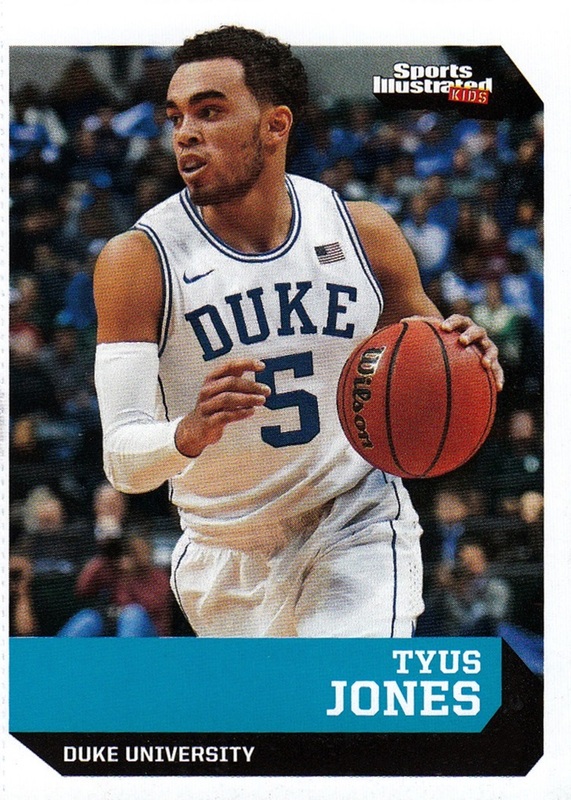 I actually have one card of one of the 2015-16 rookies already, but it doesn't count to my NBA collection, for two reasons, either of which would discount it by themselves and both appear on the same card. Those reasons being, 1. it's a college card, which I count as a separate collection, and 2, it's a multi-sport card, which I also count as a separate collection. It's this one, from Sports Illustrated for Kids. Honestly I had no idea SI for Kids was still being published. I got my last copy in 1999, basing it off the cards I can find. 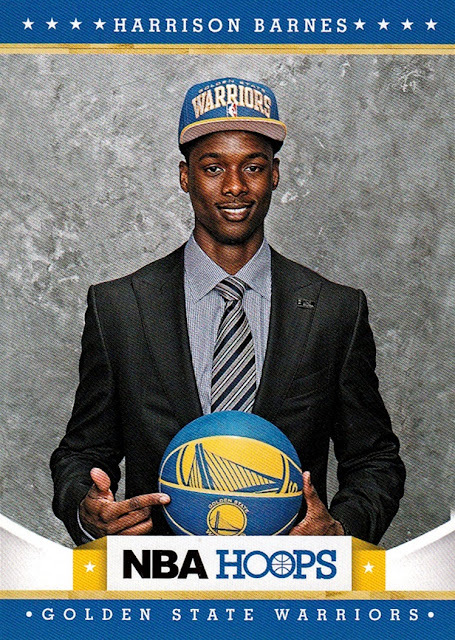 (I saw some of the cards on the Database over the years, but no actual issues) I saw an issue at my local Barnes & Noble, and saw that one of the cards was Steph Curry, fast becoming my #2 player in the league, to move to #1 when Elton Brand retires, which may come as soon as this off season. (I hope not!) So I had to get it. This card was included along with 7 others. I enjoyed reading the magazine, and I've also recently started reading regular Sports Illustrated as well. I suspect I will subscribe to both by the end of 2015. From what I've gathered Tyus Jones is expected to go in the second half of the first round, although to be honest I don't really follow players until they go pro, so basically all I know about him is what is printed on the back of the card. For the first 45 or so years of the NBA (and BAA, which everyone counts as part of the NBA, myself included) rookies were no big deal. 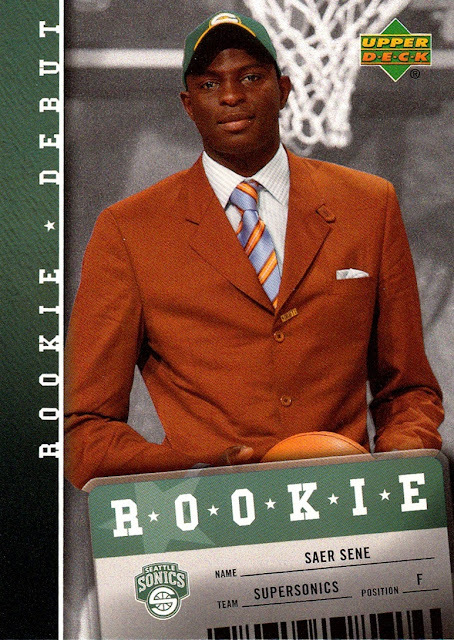 In fact, until 1990-91, the number of players who got cards during their actual rookie season was fairly slim, Topps, sole producer of NBA cards from 1957-81, rarely included players during their first year. 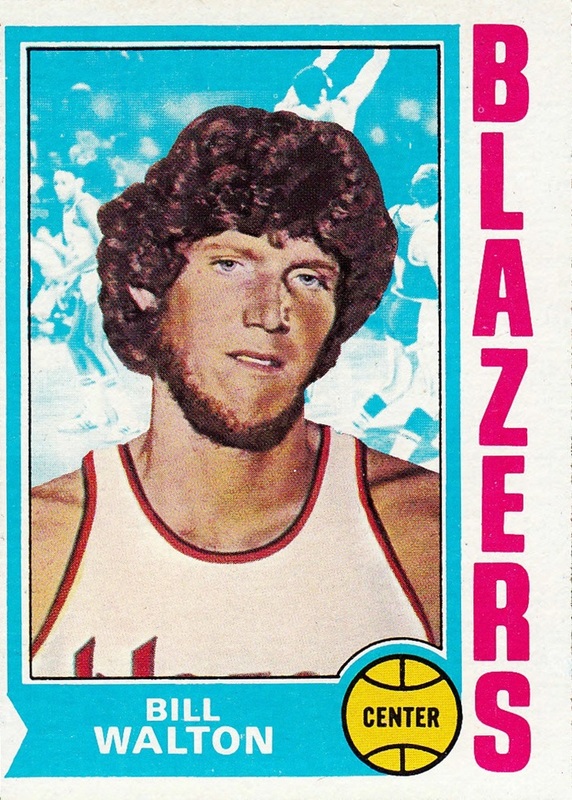 Although I'm sure there are more, I can only think of TWO cards issued by Topps during an actual first season- Pete Maravich's card in 1970-71 Topps, which I don't have, and Bill Walton's in 1974-75 Topps, which I got earlier this year via the blog. Things changed in 1990-91. The hobby was beginning it's Golden Age, which truly began in 1989-90, and would last through the 1997-98 season, ended by the first lockout. 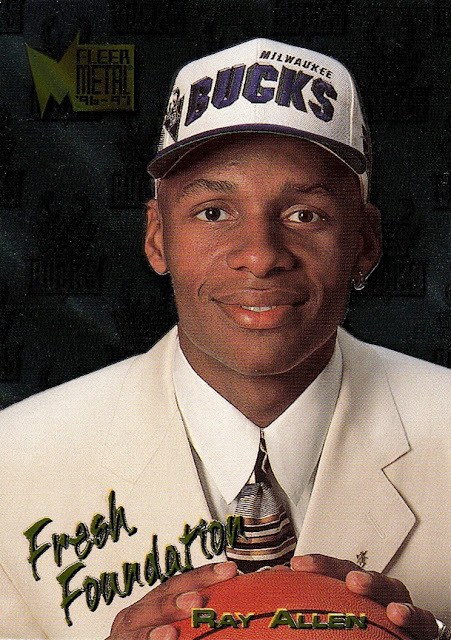 1990-91 Hoops was the first set to include images from the NBA Draft. 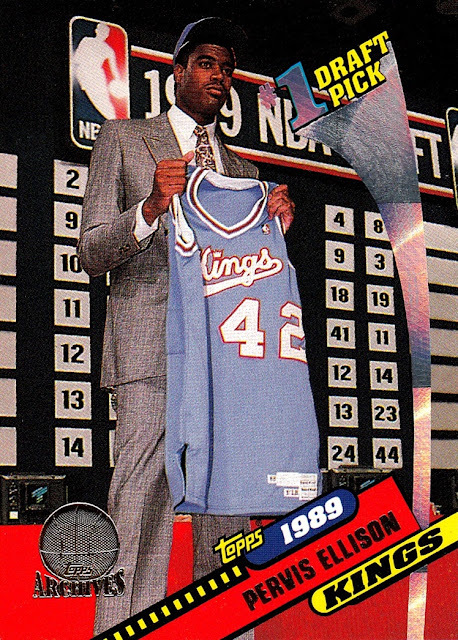 While I have all the cards in the subset, I have only scanned the card of Lionel Simmons to date. 1990-91 Hoops is one of my all time favorite sets, and I hope to someday finish it. It was also the second set to issue the traditional series 2, after the 1989-90 Hoops release. That would be the norm for the flagship sets, and even some of the secondary sets, until the lockout. The Draft cards were in series 2. 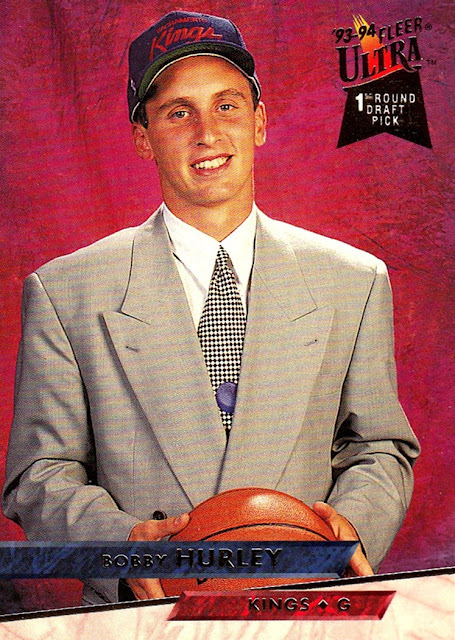 1990-91 also saw the debut of Skybox, which also included a small subset of Draft day photos. Again, Lionel Simmons is the only one I've gotten scanned to date. I'm not a huge fan of 1990-91 Skybox to be honest. 1991-92 saw Fleer, Hoops and Skybox joined by Upper Deck. Of the 4 sets that year, only Skybox had a Draft Day subset...they could afford to, at 659 cards, the largest set in NBA history. Another year where Skybox's cards were not really interesting. Just a photo with a fake background. Meh. 1992-93 saw the return of Topps, the birth of Ultra and Stadium Club, and series 2s for all the sets produced except Archives. No main sets featured draft day images, but Hoops included some in their Draft Picks insert. 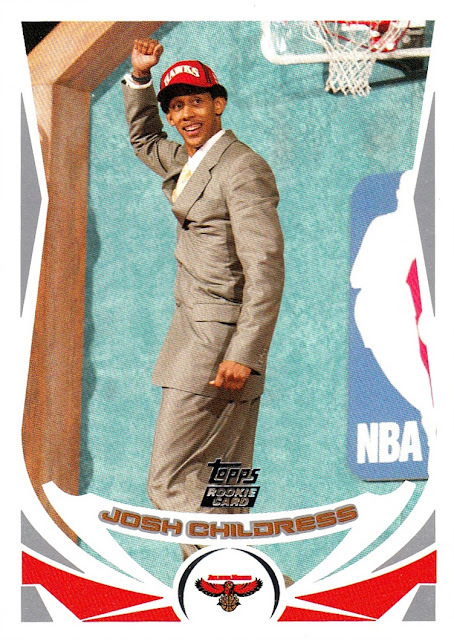 Topps Archives was a single issue release of 150 cards which highlighted the main players to come into the NBA in the interval between 1981 and 1991 when Topps did not have the NBA license. While the set had so much potential, it was also kind of a let down as well, I always held out hope that Topps would issue an Archives set for each of the years it wasn't covering the sport; the 80s were a great time in the NBA, and the players who came into the league during that time deserve to have their career properly covered...granted, Star did a very good job of that, during it's three years of operation, but Star cards have always been too expensive and too hard to find, so they are essentially out of my reach. But again, I digress. 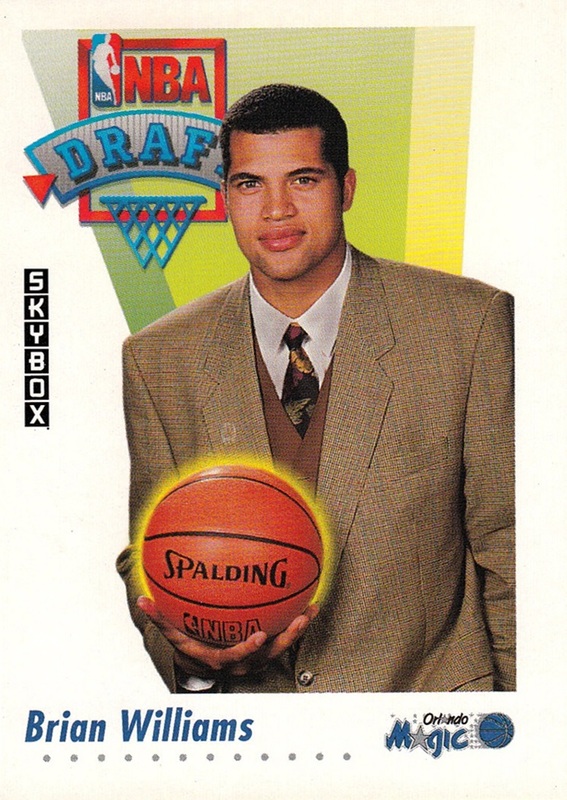 The Archives set included the first card to ever show the draft board. 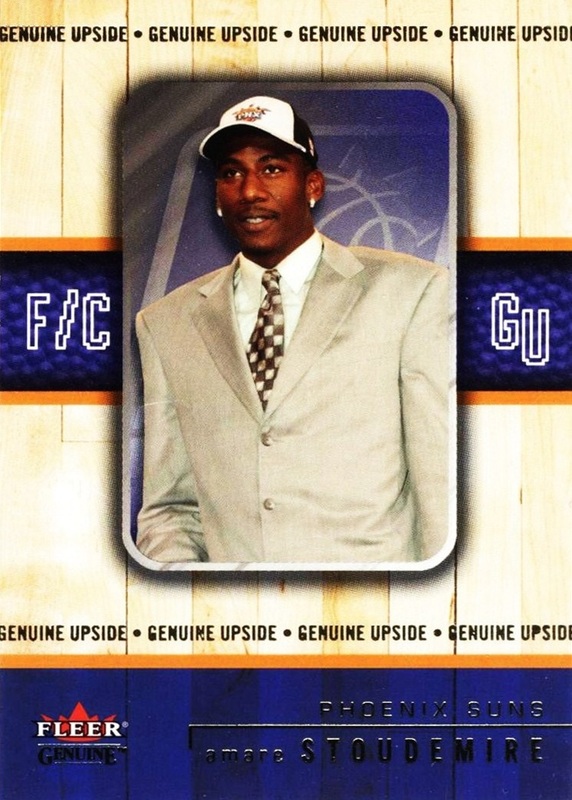 It had a subset at the start of the set showing the top pick of each draft, the back of the card listing the first round picks. This is actually the gold parallel, which was sold as a factory set only. 1993-94 saw much of the same, with the addition of Finest and the oversize Jam Session. There was no set that featured draft day photos although several appeared in the Skybox Draft Picks insert and several into regular base cards, like this one in Ultra. 1994-95 kicked off the four best years for the hobby, which again, would last until the lockout. 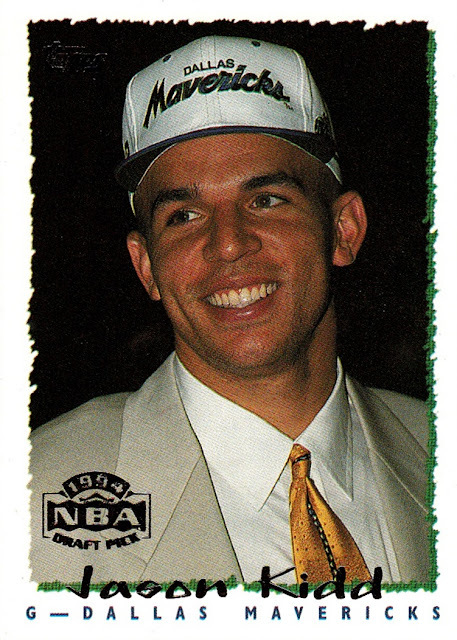 None of the sets included any number of draft day photos, although some were included in random sets, like the Jason Kidd card from the Topps flagship shown. All the main sets returned, and they were joined by Collector's Choice, Flair, SP and the E-series (Emotion, E-XL, EX, etc), which would all become mainstays in the hobby. There were also several standalone issues. By this time Rookies were the key aspect of Series 2s, or in the standalone issues, they were issued late enough in the year to include in action photos. 1995-96 was the year I discovered the sport, and it was a spectacular year for cards. All the flagship sets returned, and Metal and SPx joined the field. But draft day photos were at all all-time low. By now the Rookie Photo Shoot had supplanted the draft day photos in the sets that did not have action photos (some had both). In fact, of the more than 3100 different cards I have scanned for 1995-96, only one shows a photo taken on draft day, an insert from Fleer of Jerry Stackhouse. 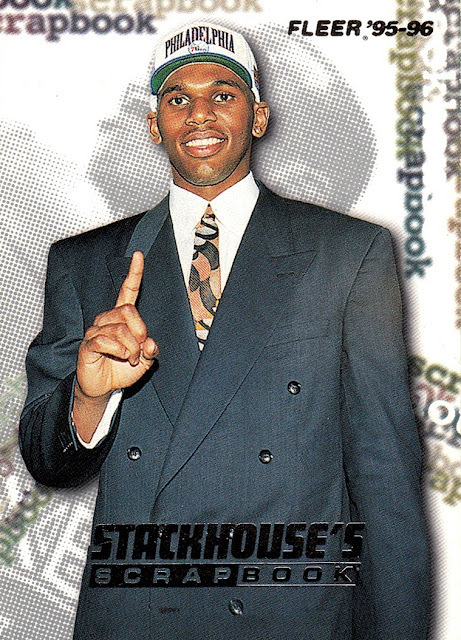 Stackhouse had signed on to be Fleer's spokesman and they issued a multi-set, mutli-year insert documenting his early career. This is card #1 in that set. I have put more effort into scanning 1995-96 than any other year, because it was my first. The only cards not scanned yet by me are the ones that somebody else posted to the Database before I got the chance to. They are held off to the end of the scanning project so I can work on stuff I can post. 1997-98 was the last great year of the NBA's golden age of cardboard. The designs were mostly good, but not as good as 1996-97. 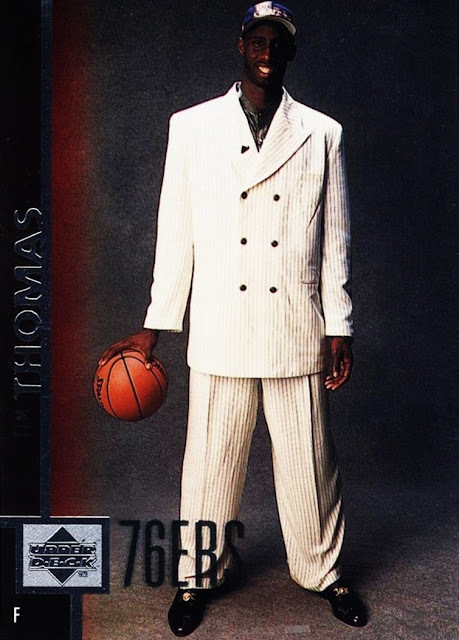 Of the nearly 900 cards I've scanned on the year, this is the only one to show what may be a draft day image...or it may come from the Rookie photo shoot. It's Tim Thomas's base card from Upper Deck. I seem to recall there being others in the set, at least for Tim Duncan, as well. 1998-99 saw the lockout. The Golden Age came crashing down...and the hobby has never truly recovered since. After the lockout, it was less about documenting the game, and more about gimmicks- not to say there weren't gimmicks beforehand but now they became the focus. It is also during this year that the focus became more on chasing the so-called hits then actual normal cards. There were no cards clearly from draft day issued in 1998-99. 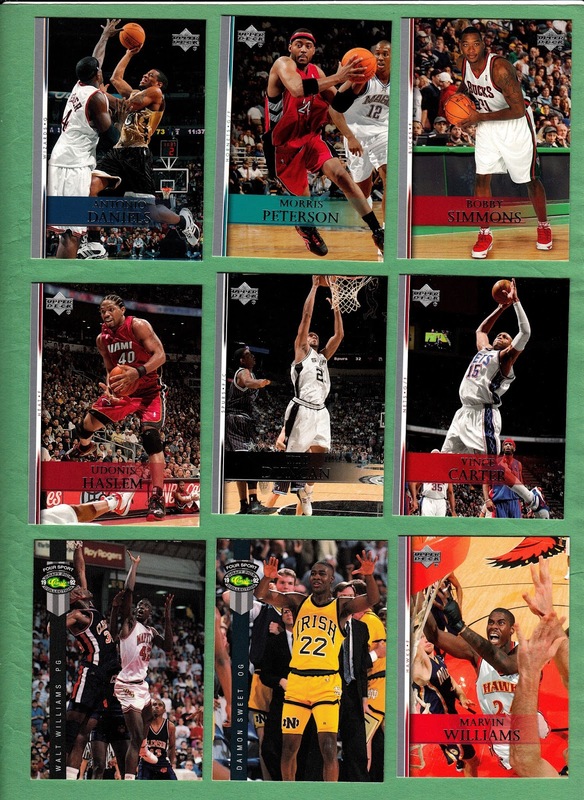 In fact, several major flagship sets, including Fleer and Hoops, saw no rookie cards included at all. 1998-99 also saw the introduction of a fad that still holds true to this day- short printing rookies, many times serially numbering them. SP Authentic started this trend during 1998-99, and it changed the landscape of rookie cards to this day. 1999-00 saw the new normal- predominantly single issue series, with photographs from the last season (or, in some rare cases, several seasons ago). While I am not overly happy with the way the hobby has gone since then, the majority of my collecting was done during 1999-00 through 2004-05, so I have a high percentage of cards from this era. 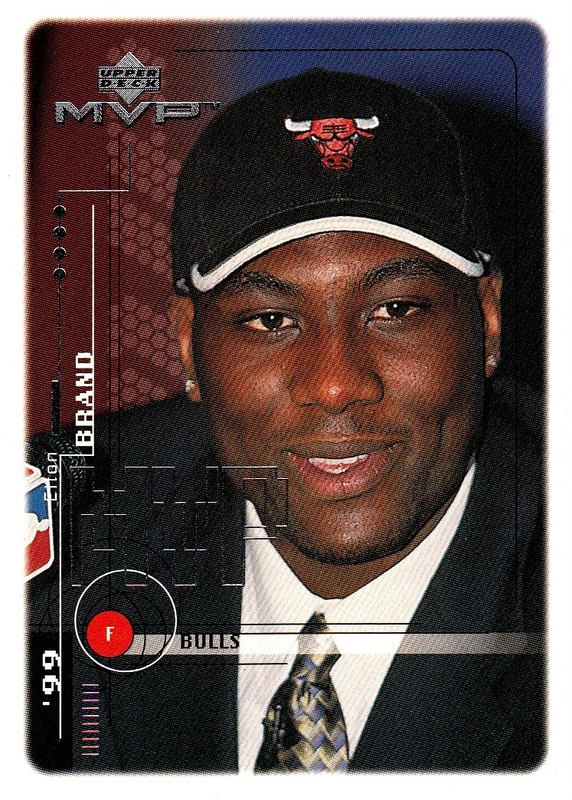 1999-00 was also when my favorite player, Elton Brand entered the NBA- as the #1 draft pick, no less! 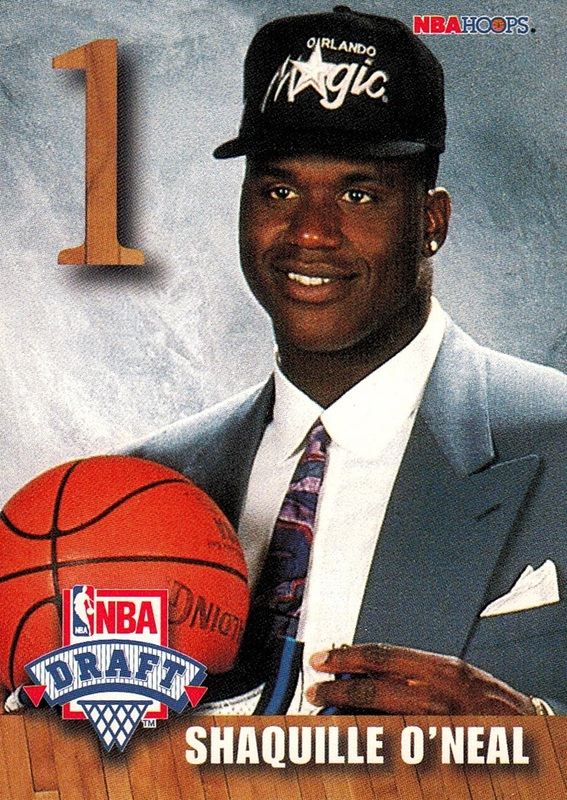 With the new format of card production, Draft Day photos were now at an all-time high. Fleer, Topps, Skybox Dominion, MVP (the former Collector's Choice), Victory and Upper Deck all used draft day photos. Topps and Upper Deck included draft day photos in series 1, and gave most of the players action photos in series 2. 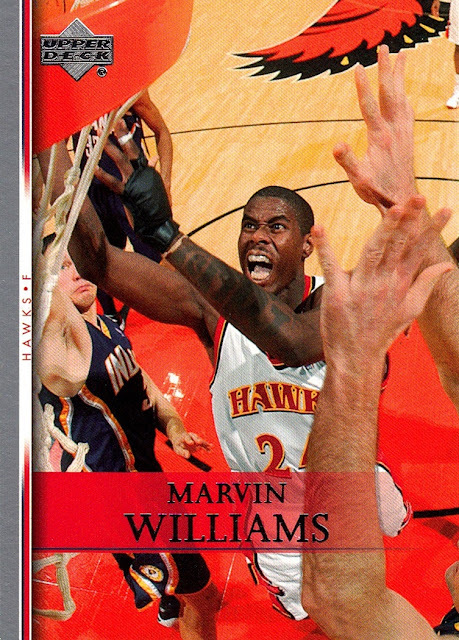 2000-01 was a low point in card design. I don't know why, but most of the sets that year were sub-par at best, in my opinion. Most of the sets that used draft day photos in 1999-00 instead used Rookie Photo Shoot photos, in the case of MVP and Victory, they used college photos instead. 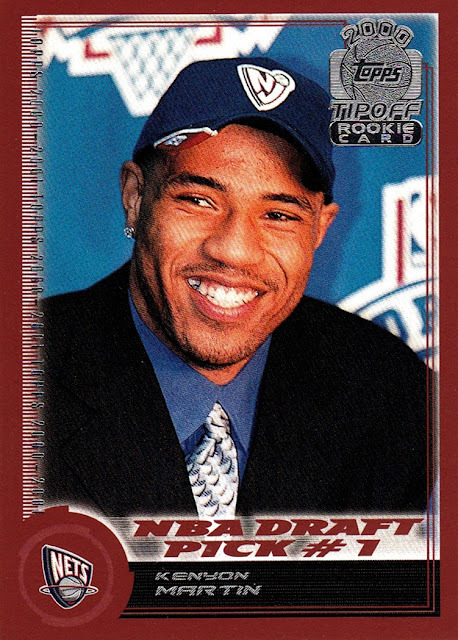 2001-02 was a better year than 2000-01, design wise, and more sets used Draft day photography, including Fleer Genuine, Topps and this set, a debut in 2001-02, Topps Pristene. This is a refractor parallel. Most sets by now were using Rookie photo shoot images, if they came out before action photos were available, although some UD sets still used college photos. 2002-03 was my peak year collecting. I added more cards to my collection in that year than I did in all of 2007-12 combined, for example. 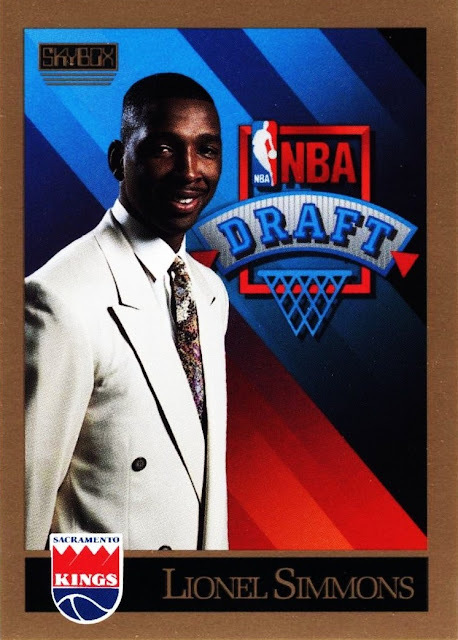 Many sets used a combination of draft day and rookie photo shoot images, some by Topps mixed in digitally altered images (which I loathe) and some by UD mixed in college uniforms. 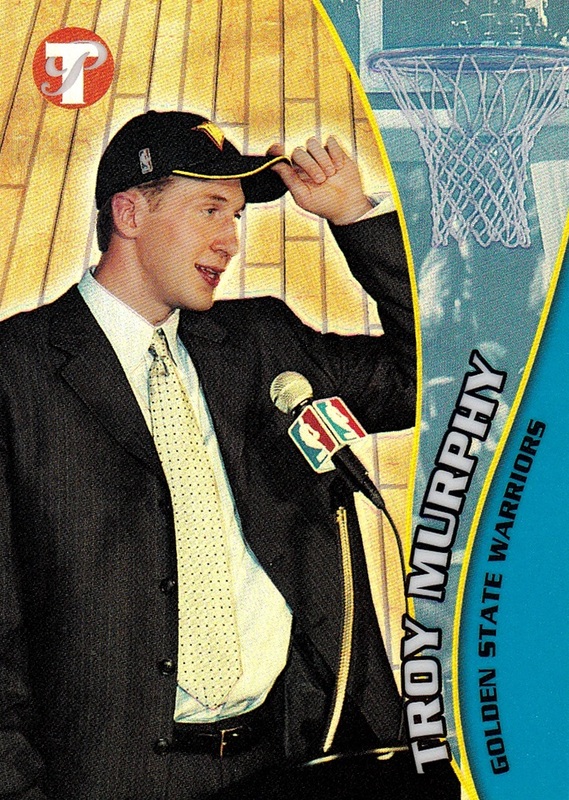 Most sets by now were serially numbering rookie cards, including this one, which was numbered to 2002 on the back. 2003-04 is the largest year in my collection, but draft day images are few and far between. There's a couple mixed in, in various sets. but Rookie Photo Shoot images are much more common. 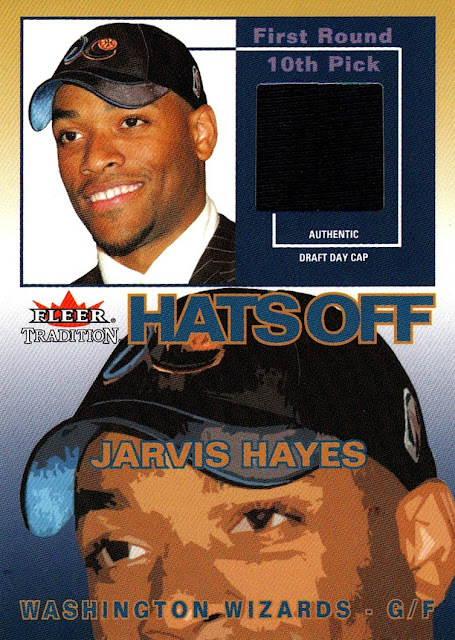 This card is an insert from Fleer Tradition (the flagship Fleer set) and includes a piece of the hat worn on draft day. This is the only one of the 10 card set in my collection. 2004-05 was the last year I really enjoyed the hobby as much as I once did, at least until I came back full time in 2012-13. It was the last year I had at least one card from each set, something I always considered one of my proudest achievements in the hobby, and something I'm working very hard on getting back to. The only set to include draft day photos was the Topps flagship set. I started to trail off in collecting, and I even missed several sets (although I've since gone back and gotten at least one card from each major set). To this day I still consider the 2005-06 draft class to be "new" players as they were the last ones to join the league when I was still fully immersed in it; the fact that some of them have already retired is a cold reminder that the game moves on even if I don't. Topps included these images for many of the rookies, and I don't know (remember) if they were taken on draft day or some other photo shoot. In 2006-07, I really wasn't enjoying it anymore. In fact, near the end of 2006, I decided I was done. I don't know now if it was me, or the cards not being as good as they once were, or what, but now I regret it immensely. I didn't look at or touch my cards for many years. I would not touch the majority of them until December 2013. From this point on, I am missing more cards than I have. I truly believed that I would never get any new basketball cards. (I was still collecting NASCAR, provisionally, and I got back into non-sports for the first time since 1996 in 2009). The last box I opened, what I once thought as the true last box, was 2006-07 Rookie Debut, and it included some Draft Day photography. Totally out of it in 2007-08, I have none that show Draft Day photography but that doesn't mean they don't exist. 2008-09 I have even less cards of. 2008 was my worst year since I began collecting cards in 1988. I only got ONE documented card (a NASCAR card). None of the less than 200 cards from the 2008-09 season depict draft day photography, the few rookie cards I have depicting college images. 2009-10 was the last year where Topps and Upper Deck were allowed to produce cards. NBA gave the license to Panini, exclusively. (A HUGE mistake, but that's a different topic). I have very few cards from this season, less than 100. The rookies I have have college images. 2010-11 was when I started to watch the games regularly again- especially during the playoffs. I resisted getting back into the cards, but I've since gotten some 217 of them after the fact. None depict draft day photography. Panini seems to favor college images, or Rookie Photo Shoot images. 2011-12 saw the second lockout. Smaller than the first, the game play after it actually got better- so much so that I'm as hooked on the game as I was before the first lockout, if not more. 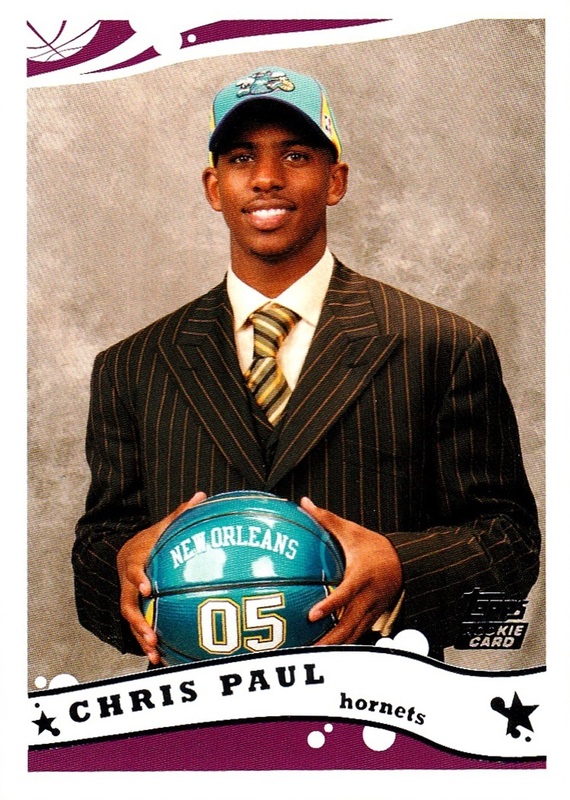 Panini chose not to include ANY rookies in 2011-12, for some stupid reason known only to Panini. It's disgraceful. 2012-13 is when I got back into the cards full time. While I get less cards than I once did, I think I appreciate them more. I actually even read them all now! (Back in the early 2000s, I was getting them so fast I didn't have time to read them, really!) Panini issued 44 card packs of Hoops for $2; I couldn't resist that. Now I'm back full time. Panini still favors Rookie Photo Shoot or even Summer League images, but two sets included draft day images. Hoops included them for all 2012-13 rookies, and Prestige included them for some. Hoops was the first set issued that year- it was on the shelves by time I went to Lake George NY in the first week of September, unusually early to have a set on the shelves. In both 2013-14 and 2014-15 Panini used Rookie Photo Shoot images exclusively. I began typing this post around 3:30 PM, and it's now 7:07 PM. The Pre-Draft show is already on, and I can't wait to see the new names that I'll be chasing for my collection for years to come! Back during the NBA Finals, and I don't remember which game, I was watching with my mom and mentioned that there were only two players in the finals who were not represented in my collection - Justin Holiday and surprise star Matthew Dellavedova. Flash forward to today...she got me this! That's a big surprise to me, I was not expecting that at all! At first, I only saw the back of the card and didn't even realize it was autographed. The reason I didn't see the front, is because the seller she ordered it from had used a small stack of 2007-08 Upper Deck cards as filler/packaging material. 7 of them to be exact! 2007-08 UD was the last flagship set missing from my collection! A Bonus surprise! They taped the front card with 4 pieces of tape- but I was able to remove them with no ill affects. That was a bit of a hair-raising experience but as the card was fine, and they were free, after all- I can't complain. I was afraid that it was going to lift off some of the foil printing of his name, (silver foil, scans black most of the time) but it didn't. So, I was surprised to get any of them and she was surprised there was a bonus in there! Knowing her, there is probably a Justin Holiday card on it's way to me as well, lol. Thanks Mom! My first group break- Spectacular success! A few weeks back I signed up for my very first Group Break. My friend CaptKirk of the Database and his own blog ran a multi-box break and the price he was asking was not particularly high so I took a chance and purchased the slots for several teams. I could not have guessed how well it would turn out when I began....but it was spectacular! I took the Nets (always my favorite team), the Knicks, Thunder and Warriors. Had I know how much fun it was going to be I would have taken a couple more teams. I took the Warriors and the Thunder because two of my three favorite players currently in the League play on those two teams- Steph Curry of the Warriors and Kevin Durant on the Thunder. I was hoping to get an insert or maybe a parallel. 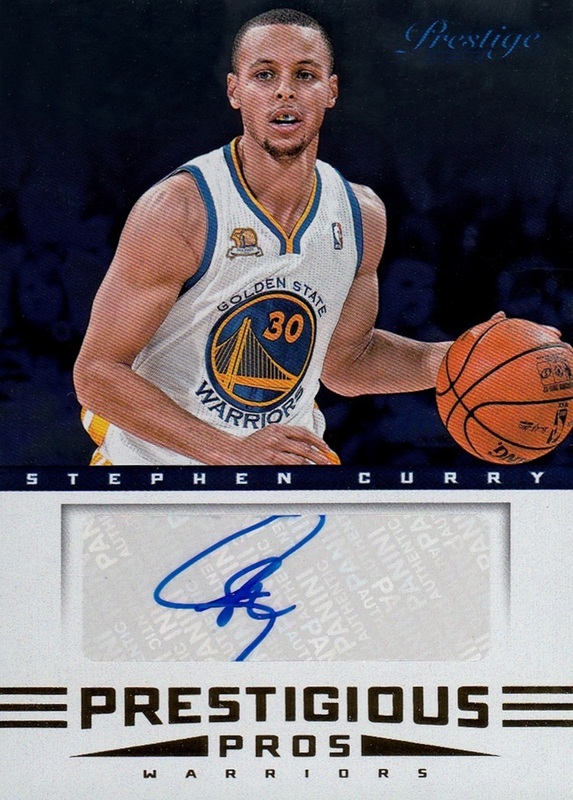 A Steph Curry autograph and a Kevin Durant relic parallel numbered to 25! When I read CaptKirk's post about the box, all I could think was to quote Trevor Bayne when he won the Daytona 500 in 2011, "Are you kidding me? Am I dreaming right now?" Surely this could not have been happening to me...nothing ever goes this well for me. But here they are, in my hands..."not a dream, hoax or imaginary story!" This really did happen. I am still trying to wrap my head around this, it is so good. This is also my first Thunder relic. They moved from Seattle to Oklahoma City in 2008, but I was not collecting the NBA at that time, and since I've gotten back into it I can't afford to buy boxes of each set issued, sometimes in multiple like I used to do, in fact I rarely get boxes at all anymore. 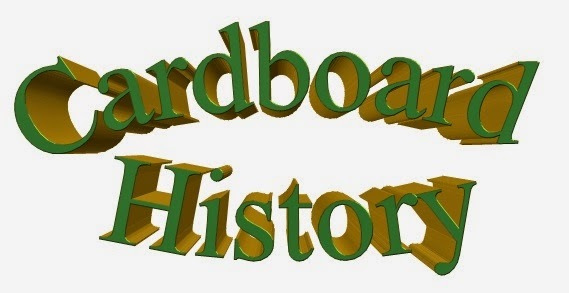 Since I launched Cardboard History in November of last year I've done only one NBA box. So, I had not pulled any Thunder relics at all. Now, I not only have one, I have one of my favorite player on the team, and it's a truly rare parallel! I also got the Perry Jones autograph as I had the Thunder. The Magic were not claimed and Kirk randomed off the unclaimed teams, so I got Kyle O'Quinn's auto from 2013-14 Hoops. The Prestige autographs are hard to photograph due to the mirror foil they used- and I had to remove a few finger prints digitally, because I didn't take enough time to make sure the cards were clean before I took the photos. Oops. Lots more! These are the base cards, inserts and parallels of my teams. Some of these are going to be duplicates, but there are also more than a few new cards in here as well. Some of these are numbered, most are not. The Hoops cards of the past two years look great from the side, as well. The 2013-14 cards have no black border on top and bottom, while 2014-15 does. I did lots of retail packs of 2013-14 and a hobby box of 2014-15 Hoops so most of these are going into my trade stash...but I know I didn't have the Kevin Durant base card from 2014-15 Hoops before and there is one of them in there. I will be going and listing them in my paper listing as soon as I hit post on this post. Kirk also hooked me up with the majority of the 1991 Topps American Gladiators cards, which I didn't know existed until I learned he had some. I loved that show when it was new, and when it was replayed on ESPN Classic a few years ago, I still enjoyed it. Looking through those cards brought back some great memories of when I was younger. I forgot to photograph them, though. Thanks again Kirk! This was an amazing experience and if you do another, I will take the same teams and more. I had so much fun with Kirk's group break, I also joined one for 2014-15 Panini Spectra on Dave & Adam's. It doesn't work the same, and it was much more expensive. It wasn't as much fun but I did get two great cards. My photo is blurry but you can see the refractor...err, I mean Prizm...technology and the Gary Harris card is serially numbered 4 of 5. I might do another with them some day but it would have to be something with more cards in a case. Quite a few people payed to get into that case break and got absolutely nothing....not even their money back. Back at the start of the year, I wrote a Post about my card collecting goals for 2015. I was going to post an update on July 1st, or thereabouts, but I realized that I had already surpassed two of my goals and modified another by the end of May, so that I was going to post about it now. Goal #1 has changed. I got most of the tradelist posted, and while I still have more to do, I have decided that I'm going to actually give most of the NASCAR duplicates to a good friend of mine, which saves me the trouble of posting them, and repays the kindness he's shown me over time. The NBA duplicates that I'm sure on are entered, but I'm going to hold off on the new duplicates for a time. I have found more cards that got damaged than I realized- both in the flood on February 5th or otherwise- and I don't want to trade away a needed replacement without realizing it. It will be some time until I am ready to enter them in...talking years here. All that remains is the non-sports cards, and they are still hanging over my head. I'm not sure exactly what I've entered and what I haven't, so there is some work there ahead of me. #2. was to get my scans of card backs posted close to or equal to the card fronts on the Database. I accomplished that sometime in May (I forgot to take note of it) but I not only got the backs caught up, I have now surpassed the fronts! This is mainly due to other people posting fronts but not backs of cards. Here is a screencap that is accurate as I type this but will be outdated within 5 minutes of hitting post. My third goal was to hit more than 11 Elton Brand cards for the year. I have more than doubled that total...and some of them are quite rare, including 2 numbered to only 10 copies extant. I have a Page where I am posting scans of each and every new Elton card I've gotten in 2015. As of right now I'm at 30 new Eltons for the year. Of those 30, 7 are autographed and 5 are relics, including my first Logoman patch - of any player - and my first autographed relic of Elton. I had only two autographs of him before this year. I cleared my 12th card - and the goal - on February 11th, so it was the first goal of the year to fall. I hope to keep up this increase in my Elton collection- I cleared 400 different NBA cards of him in May- the next goal is 500 different. I expect that shall be my main goal for 2016. The One of each person/set goal is progressing nicely as well. I'm down to 65 NBA sets missing and 6 NASCAR sets - 7 counting 1972 STP. I've cut the missing NBA people down to 450, and NASCAR has been halved, to only 38 missing people. I need to work more on the NBA people missing...and of course we are only a few months away from the 2015-16 rookie class, which always leads to more people missing as Panini ignores some of them in most sets but puts them in high priced sets I can't afford. I had one other goal I forgot to write about - I knew I was forgetting something back in January but I remember, and in fact am working on it, right now. I am working on a total calculation of how many cards in my collection. 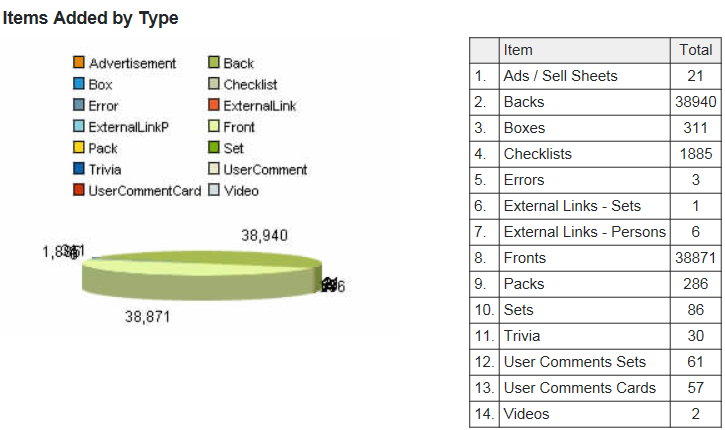 I know it's not accurate- I know my counts are off- but I am working to correct them. In 2015 I've gotten an accurate count of my other sports and those I am pretty sure on. I know the NBA count is off, possibly by more than 100 cards. I won't know for sure until I finish scanning them all and then resort them by set. I'm sure the NASCAR count is off as well but not by as many. But what's been the biggest mystery count wise has been the diecast cards. The ones that came with Racing Champions, Action, Winner's Circle, Johnny Lightning, Hot Wheels and other brands of die cast replicas. There is a problem, though. Some are missing. I know I have them, but I don't know where. Surely in one of my storage units, but that's equal to not having them. I know which ones are missing, to an extent. I know which cars I have and therefor which cards I have, but I don't have the cards physically in hand...and there are sure to be ones I've forgotten. Do I count the ones I know I have, but can't currently locate? And do I count the sort-of cards that tend to be in the same vein, but not necessarily cards? I'm specifically talking about the Team Caliber Certificates of Authenticity, the stickers Winner's Circle and Hot Wheels issued, etc. I have yet to decide. I must decide soon because I project finishing scanning the cards I can find within a week. I suppose I should start thinking of goals for 2016...I blew past 2015's goals much easier than I expected, and the 500 mark for Elton isn't out of the question for 2015, although extremely unlikely due to lack of funds...and lack of his inclusion in any card set since 2013, despite the fact that he is still in the league. 2016 is also my 20 year anniversary of collecting the NBA, so I want to do something special for that, which I still have not decided on.